Since the very beginning, Koji Kondo has been the man behind the many melodies that have in many ways helped define the Legend of Zelda as we know it. From the title screen themes, to a few notes that turn back time, or even the simple sound effects that ring in our ears. Kondo has composed piece after piece to accompany our adventures with the most fitting tunes. What about Kondo’s Adventures? What song do you think he finds most enjoyable through his quest in Hyrule? If the thumbnail wasn’t enough of a hint, Kondo’s favorite theme is Ocarina of Time’s “Overworld” theme. Hit the jump to find out why. As the composer of many songs among other franchises, it’s a wonder how many other pieces were composed in a similar fashion. 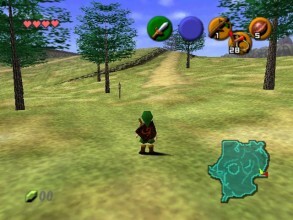 What do you think of Ocarina of Time’s “Overworld” theme? Agree with Kondo’s choice? Tell us in the comments below.